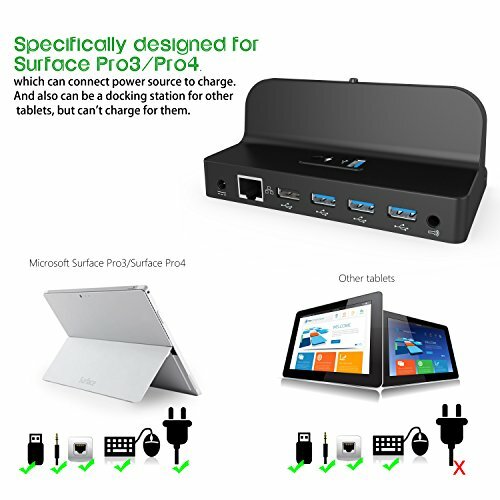 This multi-function hub solve your trouble that the USB interface of your Surface Pro3/Pro4 is not enough. 2.Reticle port with high speed at the bottom of station enables your tablet PC to surf on the Internet with more stable network speed. 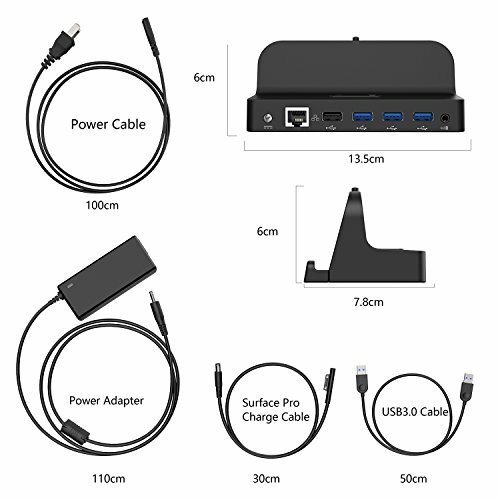 3.Port for power output makes it available to charge for your Pro3 and Pro4. 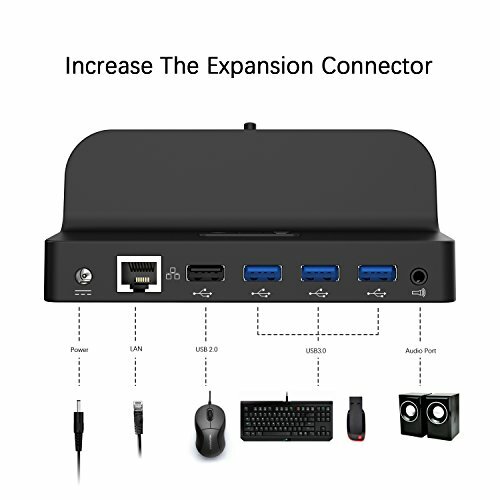 4.Three USB 3.0 ports and one USB 2.0, providing possibilities to use mouse, keyboard and U disk at the same time. 5.Premium port for audio output is equipped. 6.Install audio, network card, USB 3.0 driver for the first time you use. 7.Driver installation: Connect to the charge dock by USB 3.0. After linking to wifi, the tablet will install the driver automatically. 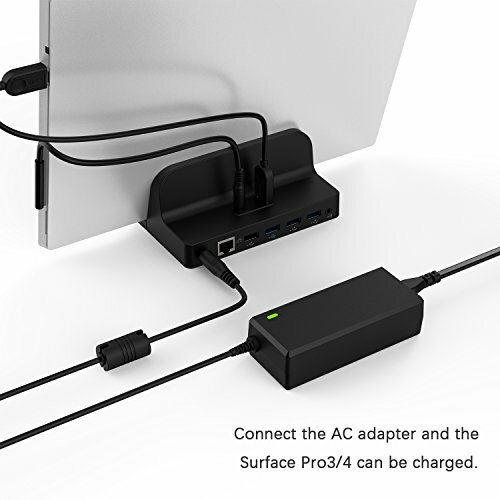 Method 1: After connecting to power source, then connect the USA 3.0 cable to your Surface Pro3/Pro4. Method 2: When you want to charge your device, please plug the Pro3/Pro4 charging cable. 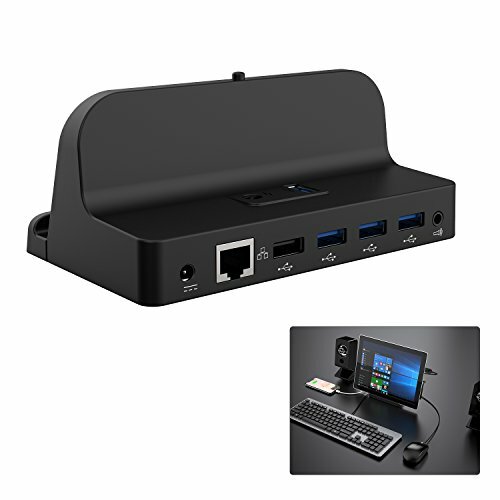 Work As A Desktop PC: this dock is special designed for Surface Pro 3/4, it can make the surface pro3/pro4 into a PC completely and greatly improve your work productivity. 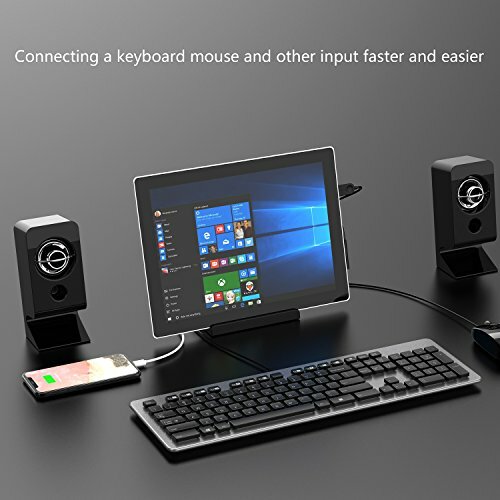 As A Support for Surface Pro3/4: this device is an ideal support which can be adjusted according to your favorite sight view, perfect when you watching videos. 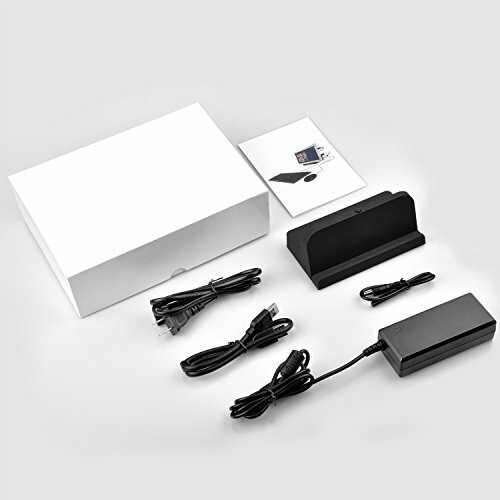 Plenty Ports Include: 3x UBS3.0 ,1x UBS2.0; 1x 100M Ethernet port ; 1x 3.5mm Audio port, 1x Power Input, Convenient for you to connect the mouse, keyboard, and more. Charging Station: This dock can supply enough current for your surface and its external devices.